Students in Tauna LaBare’s social studies class in grades 5-6 were learning about westward expansion. 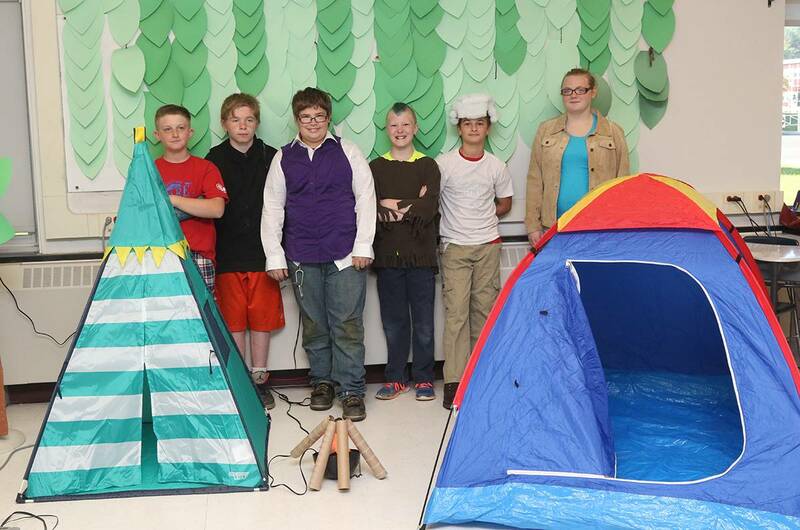 As a culminating activity to the unit, the students demonstrated a camp out in the Wild West. Students helped build a covered wagon, painted rocks for the gold rush station, worked on costumes, and also chose an important person from that time period and wrote a speech about that person. Famous people included: Thomas Jefferson, Annie Oakley, Sacagawea, and Lewis and Clark. 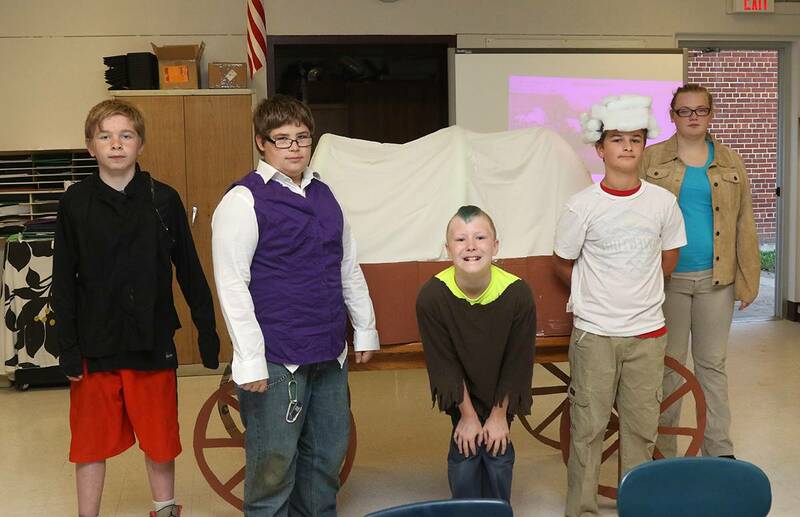 Acting as their famous person, students told the history of westward expansion. The covered wagon represented the Oregon Trail, a teepee represented Native American Indians and Sacagawea, and a gold rush station, which included a sifter pan and gold nuggets among the rocks. A scavenger hunt also was held, showing some of the species of animals Lewis and Clark discovered. Other classes came to learn about the time period and the famous people from that period of history. See a gallery of images below.